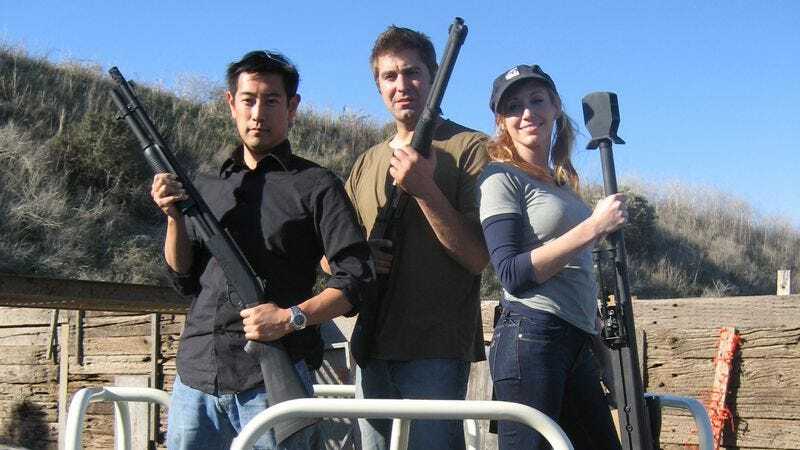 Last night’s season finale of Mythbusters was also the last episode to feature cast members Kari Byron, Tory Belleci, and Grant Imahara. After the trio’s decade-long run of exploding stuff as the Build Team, original myth-busting hosts Adam Savage and Jamie Hyneman will be left to present the show themselves. After the episode aired the cast members took to Twitter to say some public goodbyes.